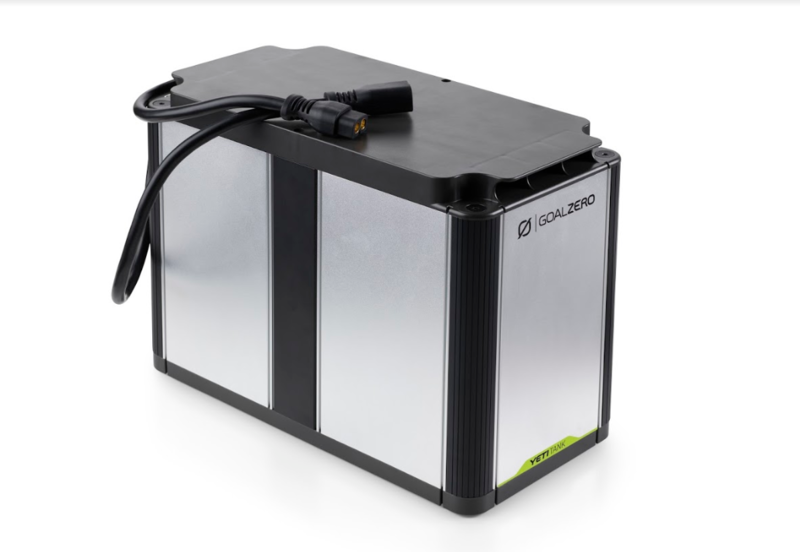 Goal Zero, a key participant within the cell and residential power storage area, this week offered a variety of new products at the yearly CES industry display. Included within the bulletins are additions to present traces in addition to distinctive, first-of-its-kind era. First up is the Yeti Link which come with a “proprietary technology” that permits customers to chain other battery chemistry (ex: lead acid and lithium) in combination. The Yeti Link is an add-on module that we could those that personal a Yeti Lithium 1000 Power Station (or higher) chain batteries in combination. The Link plugs immediately into the power station’s enlargement port, offering a degree capability that in the past wasn’t presented on the client stage. Pricing can be $400 upon availability in May. The Yeti Tank combines the reliability, sturdiness and comfort with the storage capability present in house backup power. Built the use of the cheaper lead-acid, Yeti Tank integrates with present Yeti Power Stations to price by means of sun panels or a wall plug, handing over long-lasting, expandable backup power storage for any house. The Flip Power Banks get a refresh for 2019 with greater battery capacities. They take care of the similar graceful and flashy design Goal Zero additionally confirmed off its up to date line of Flip Power Banks at CES 2019 as smartly. The new variations retain the graceful design and take care of the sunshine weight and sturdy construct. The Flip 12 gives 12 watt-hours (3350 mAh) of capability; the Flip 24 packs 24Wh (6700mAh); the Flip 36 homes 36 Wh (10,050 mAh). The battery packs send in May and can value $25, $35, and $45, respectively. The Nomad five joins the Goal Zero line of transportable sun panels, bringing a few small however robust power supply. With 5 watts (5W) of charging power, it has a integrated kickstand and USB port, and offers pass-through charging. The Nomad five is a perfect spouse to the Flip 12, Flip 24, or the Guide 10 Plus. The Nomad five will run $60 when it is going on sale in May. Weekend poll: Do you use the Pixel 2 and 3’s ‘Active Edge’ feature?